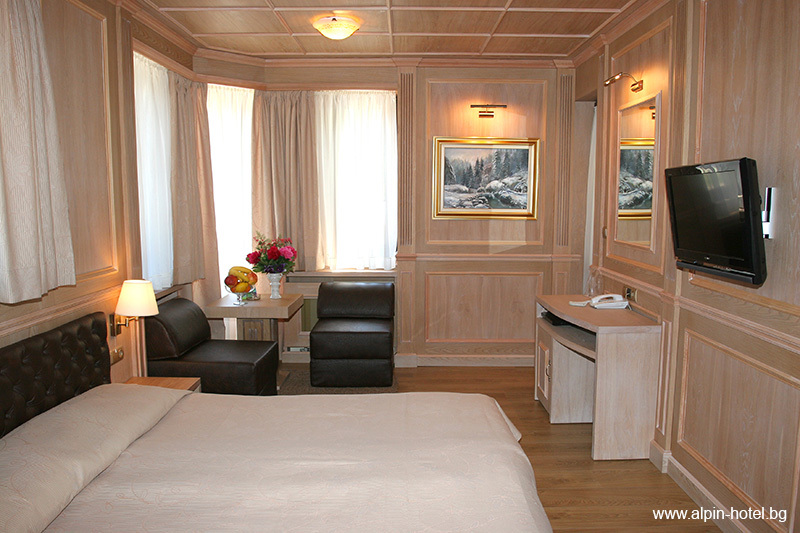 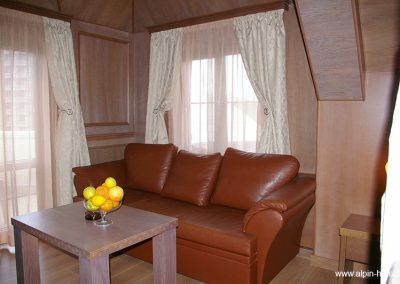 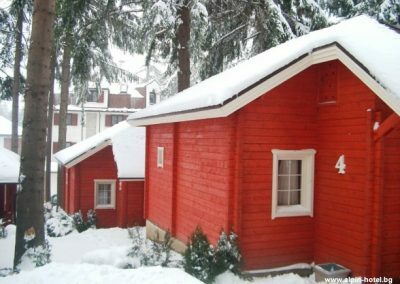 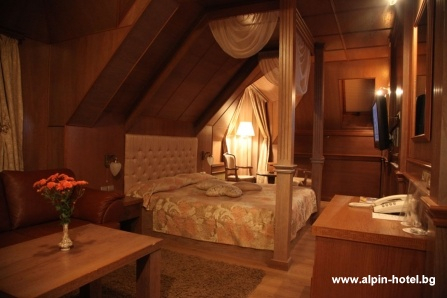 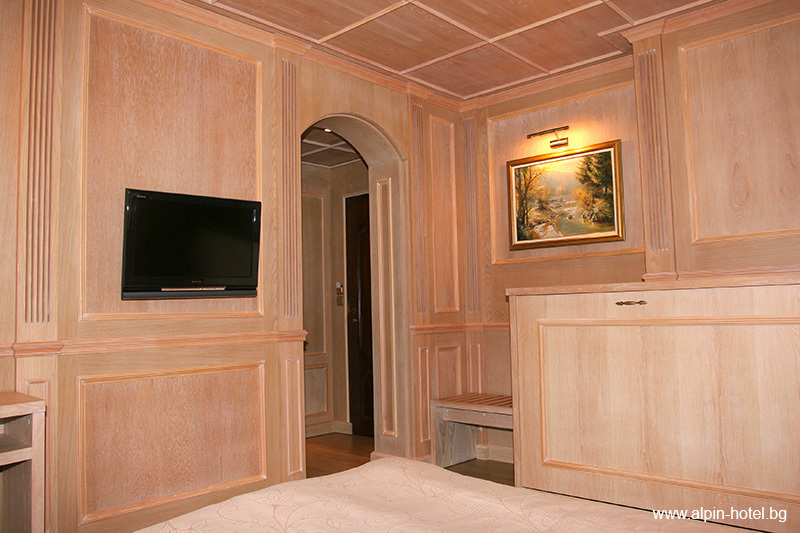 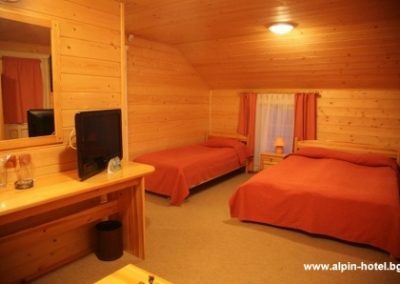 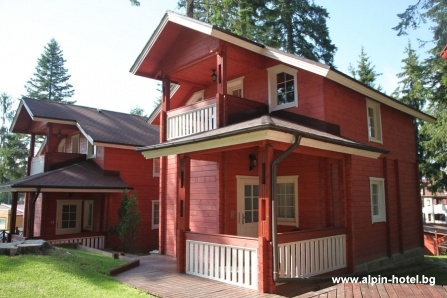 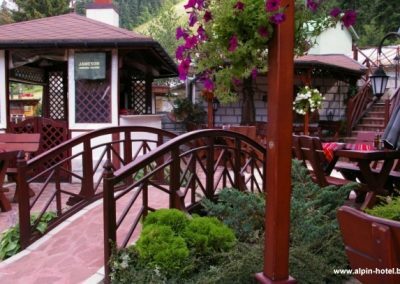 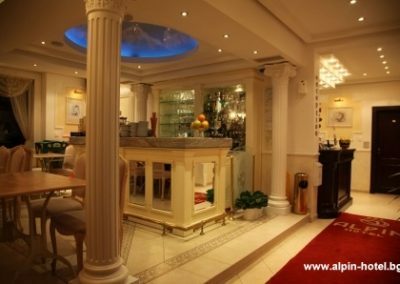 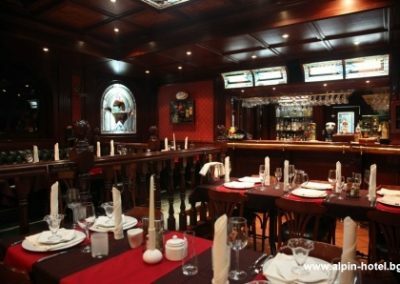 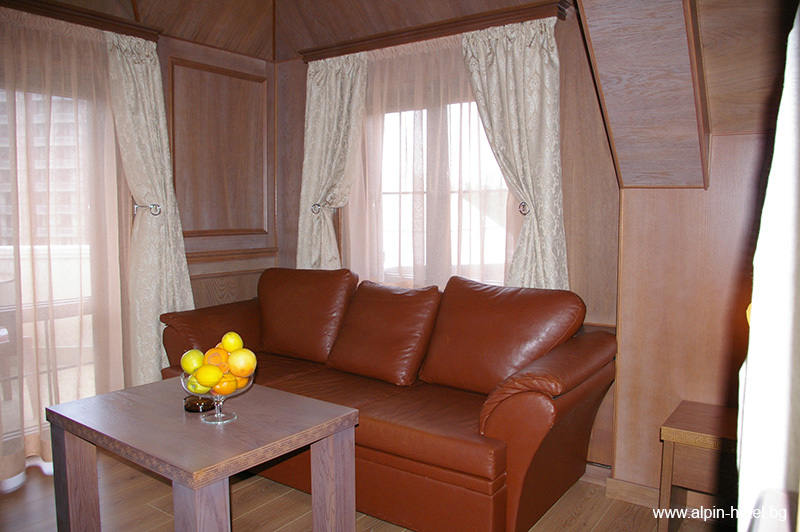 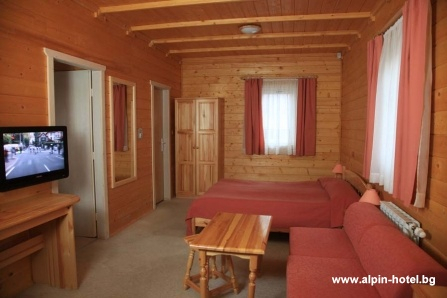 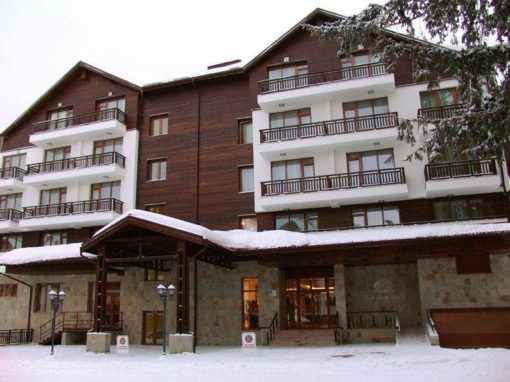 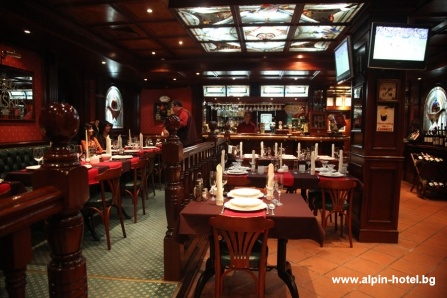 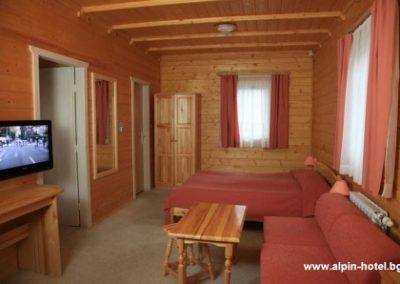 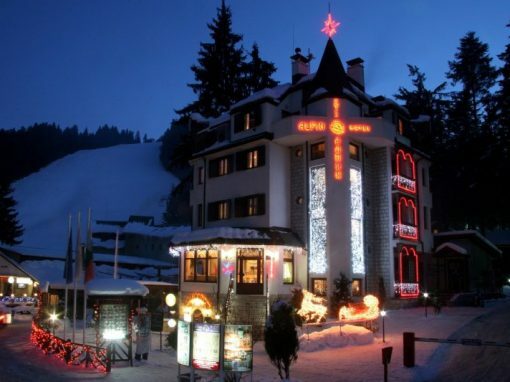 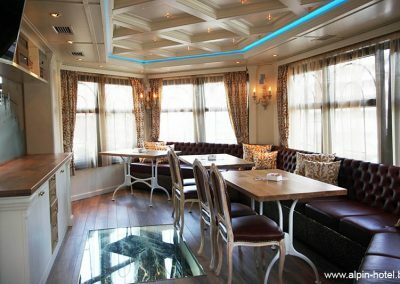 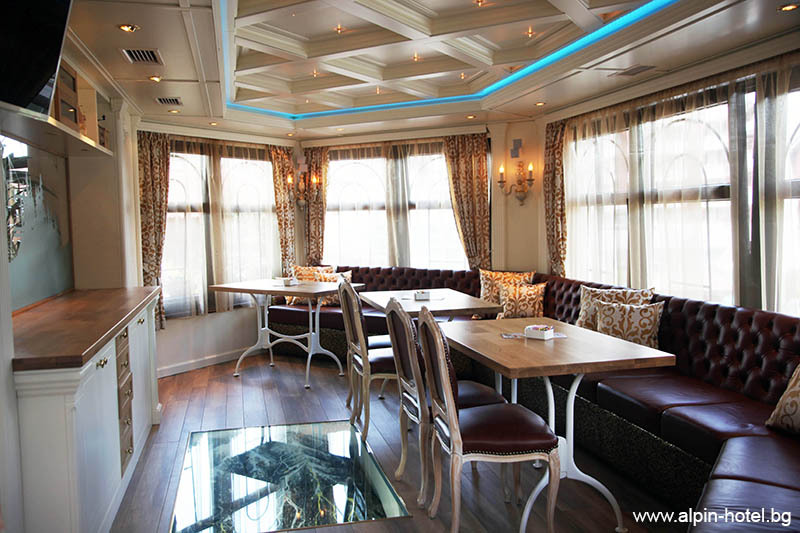 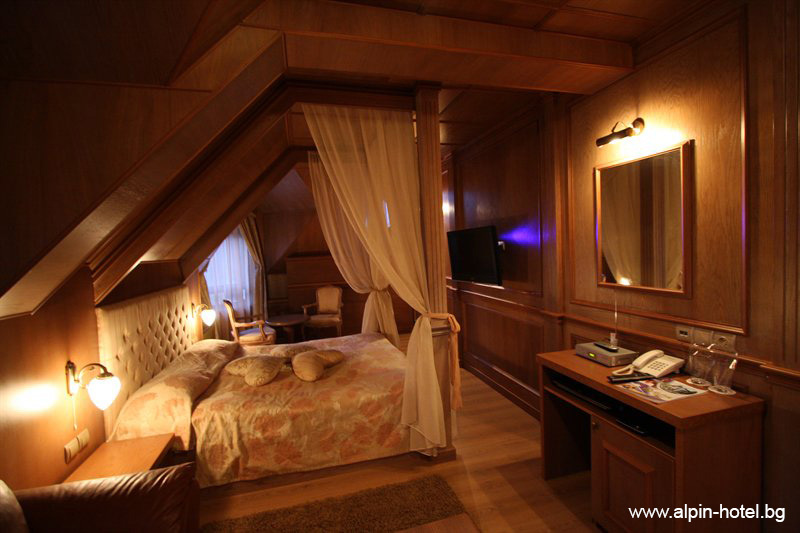 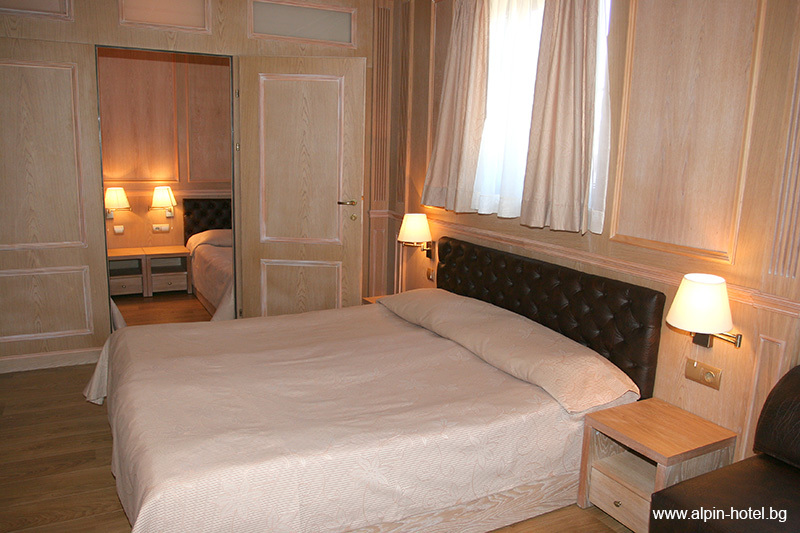 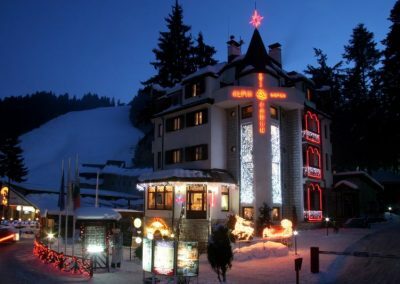 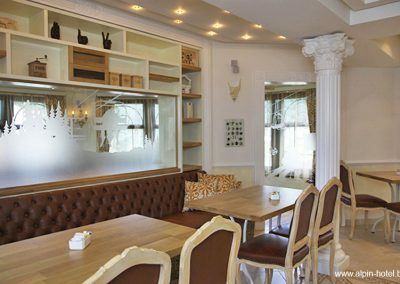 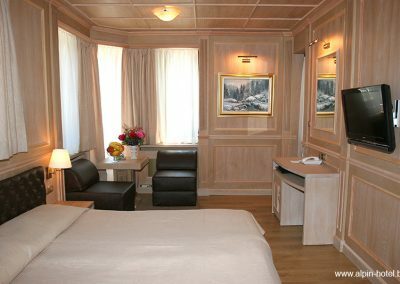 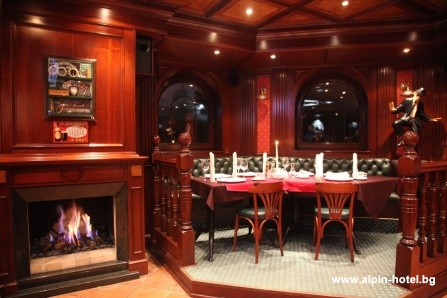 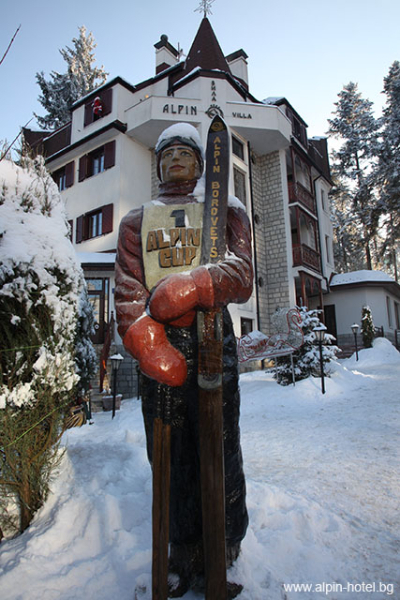 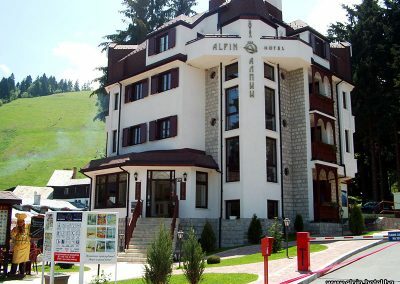 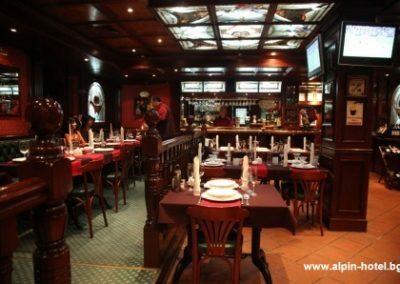 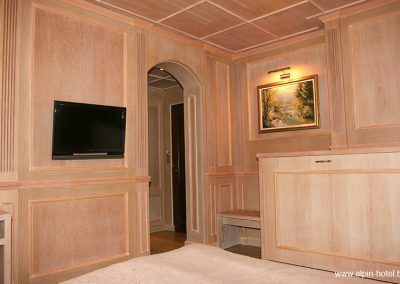 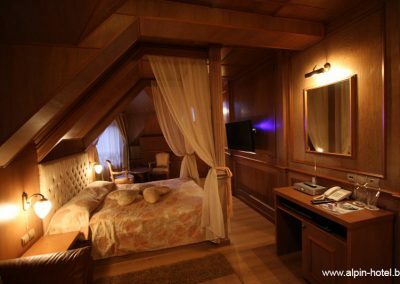 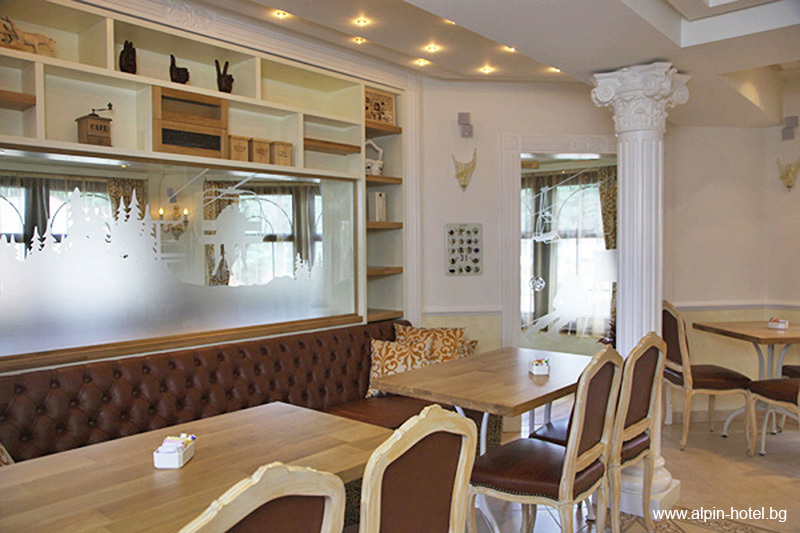 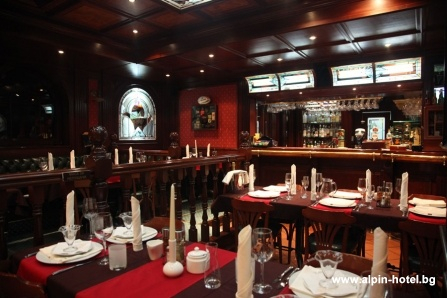 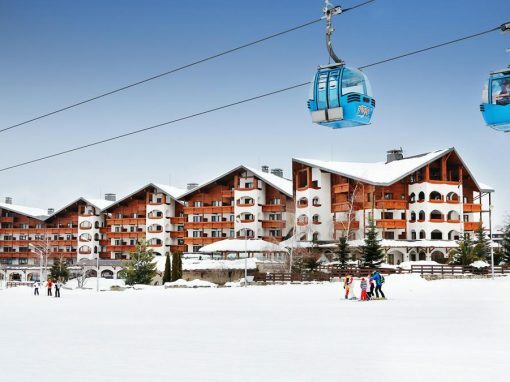 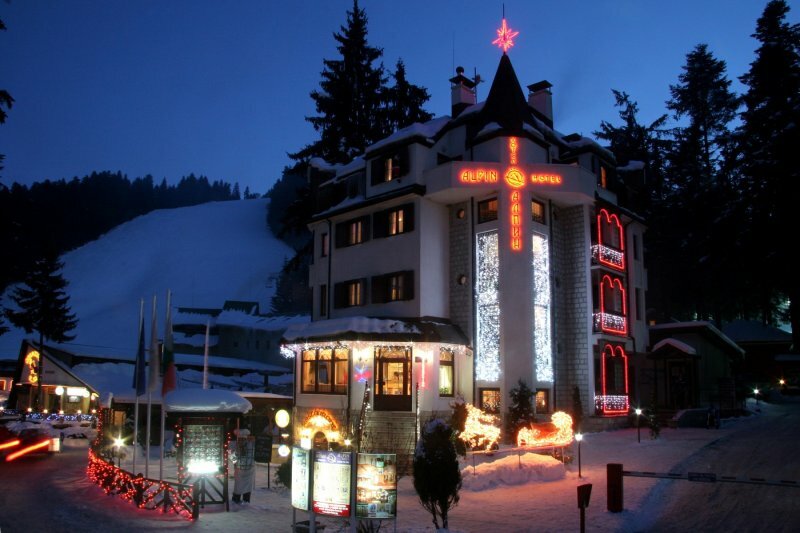 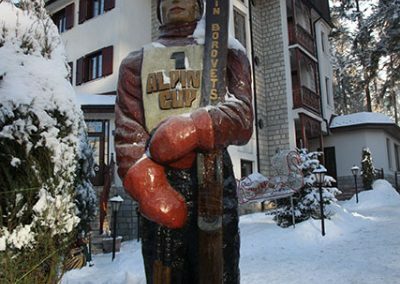 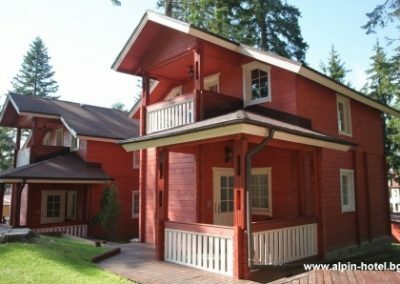 Hotel Aplin is luxurious and small hotel which is located in the center of the resort Borovets. 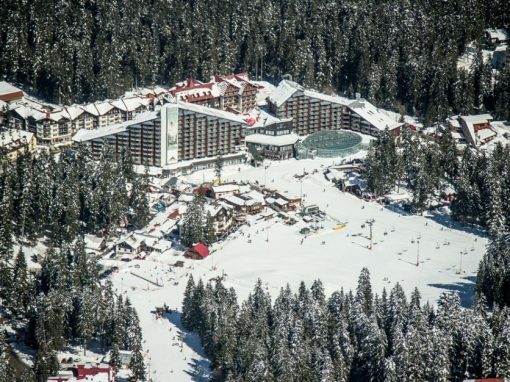 The ski slopes are only 20 m away from the hotel. 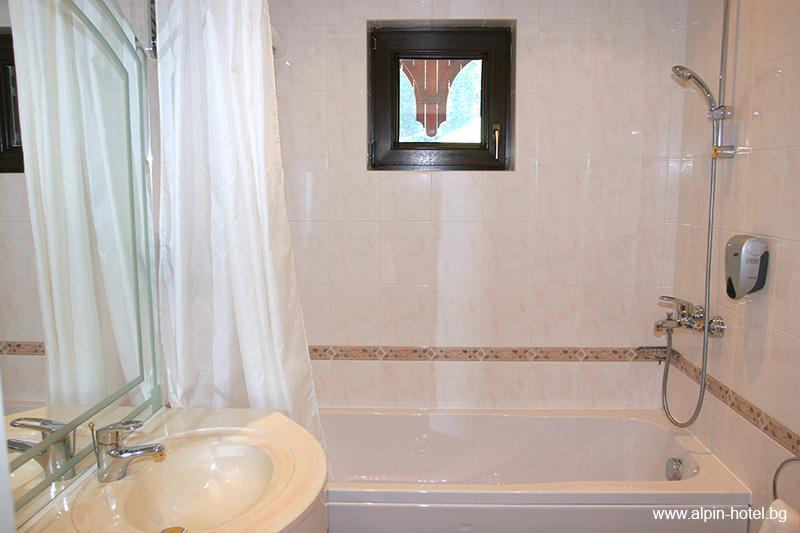 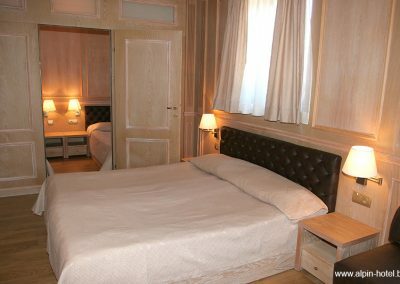 The hotel offers 4 rooms, one apartment, two studios with balcony which are with wonderful view to the mountain. 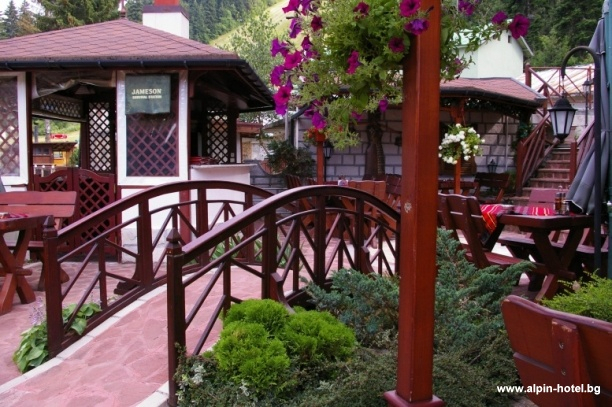 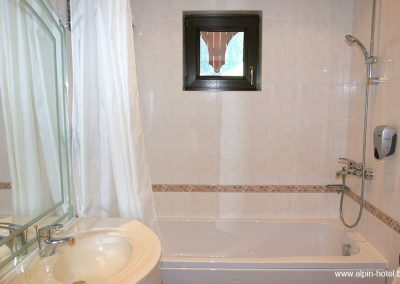 The hotel offers 8 villas, located in holiday village. 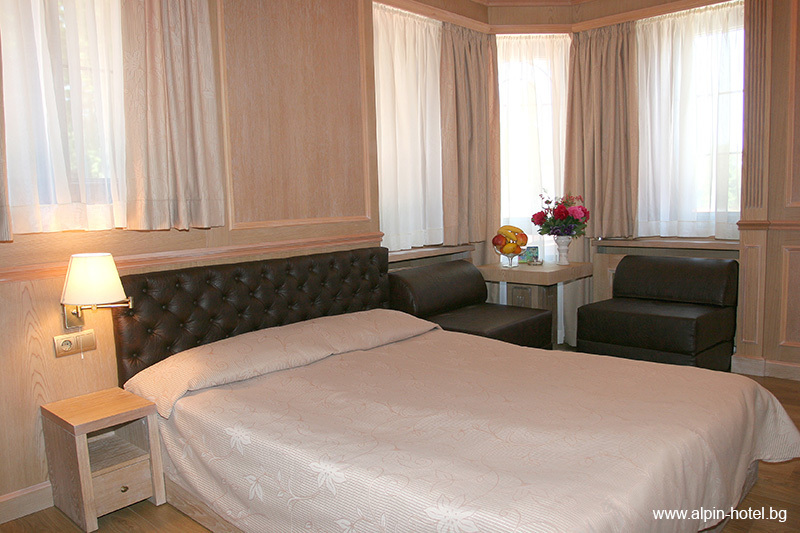 Our guests can enjoy Jacuzzi, sauna and they can use the services of our experienced masseur. 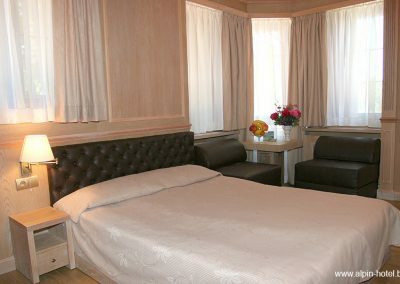 We also offer Room service, washing and ironing of your clothes. 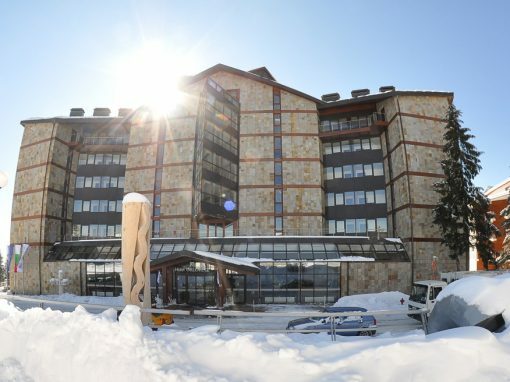 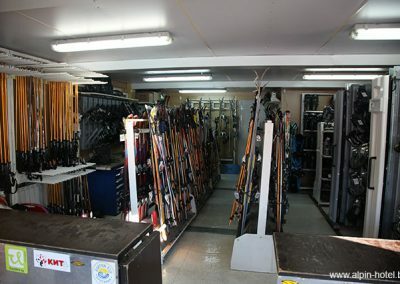 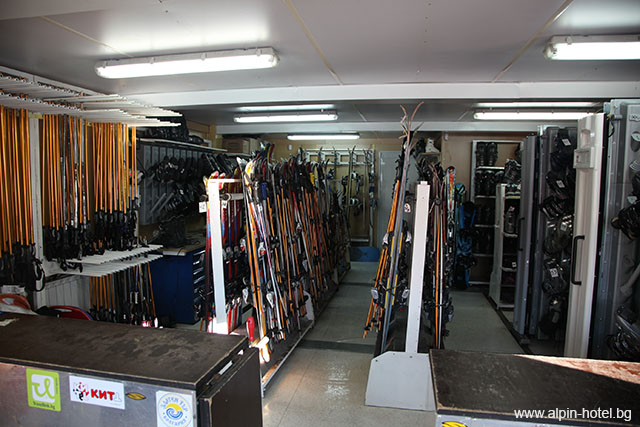 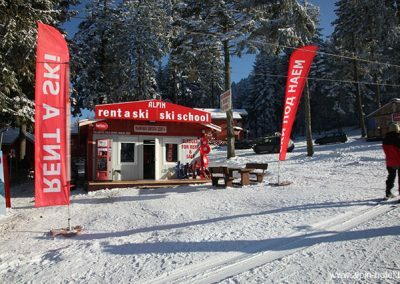 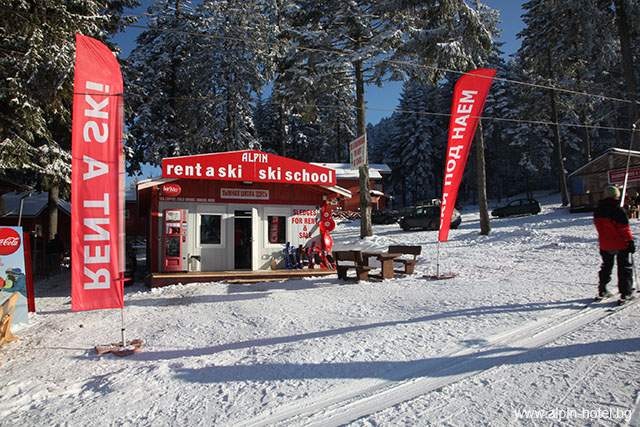 The hotel has its own ski wardrobe who offers snowboard and ski equipment, also ski service, ski school and safe for your valuable things.